Kim Kardashian went on Ellen Show to tell all, and boy did she tell all. 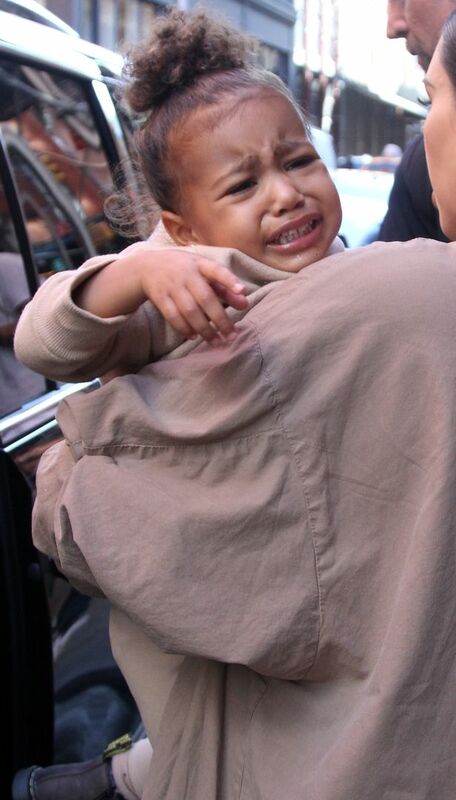 What she really meant is North West is definitely her fathers child. Remember all the rants Kanye had on stage like the Beyhive versus Taylor, well seems like North has that same demanding personality. Kim tells Ellen she had to fake breastfeed North when she fed Saint because of her jealousy. We often see Kim carrying both kids at the same damn time! When she decides not to then we see faces like this. Regardless of whatever face North gives us she is still the cutest little girl, slaying fashion in the Hollywood industry.